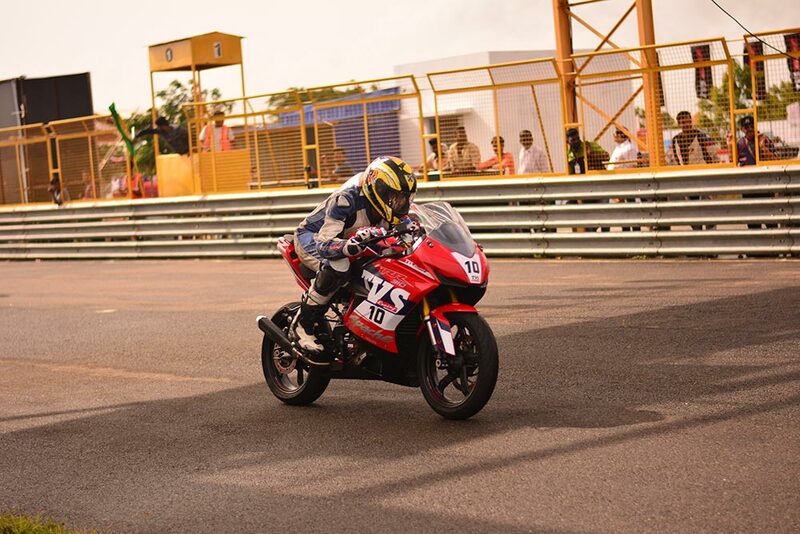 TVS Racing, the factory racing arm of TVS Motor Company, began the 2018 season of Indian National Motorcycle Racing Championship (INMRC) on a high note with KY Ahamed clinching double victory in the Super Sport 165 Group B category held at Kari Motor Speedway (Coimbatore). 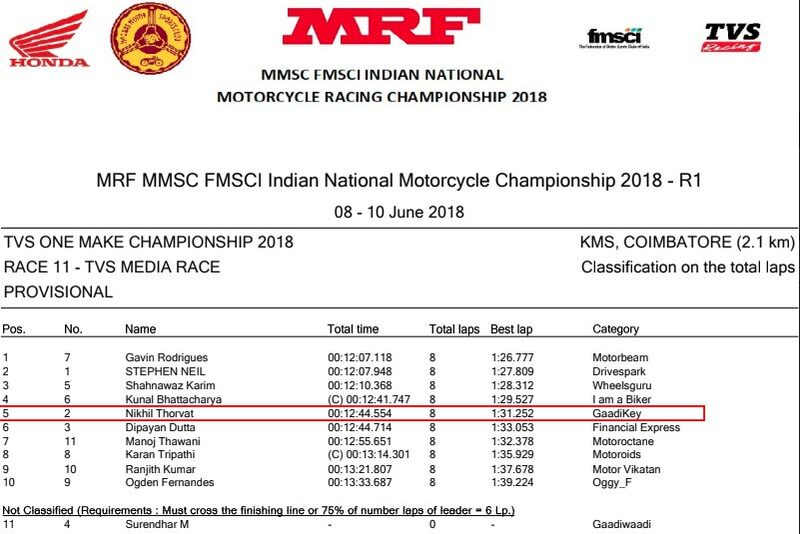 Race 1 saw Ahamed battle it out with his mentor and national champion Jagan Kumar and win the race despite the wet race conditions. He continued his strong form in Race 2 clinching the top spot on the podium with TVS Racing’s Deepak Ravikumar taking second place. Jagan clocked a new lap record time (1 min 11.596 sec) at KMS, Coimbatore. I have been working hard for this victory and a double win makes it even more special. I would like to dedicate the wins to everyone in my team, well-wishers and especially to Jagan, who has always supported and mentored me. I hope I can keep performing consistently for the rest of the season. We were looking to make a solid start to the championship and Ahamed’s perfect performance in Coimbatore has given us the right momentum. The team has always believed in Ahamed’s skills and backed his ability to win races. Over the past 3 years, I have seen him evolve as a racer and his dedication to the sport coupled with discipline has led him to these victories. 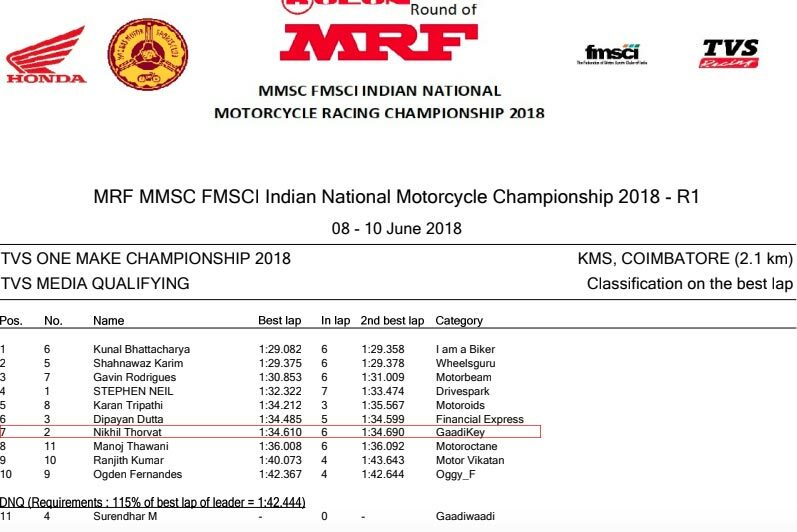 We congratulate our six-time national champion rider – K. Jagan, for the new lap record. Deepak’s performance is commendable on his first run with the RTR 165 machine. I appreciate the hard work put in by the technicians and crew, which resulted in the positive outcome of Round 1. 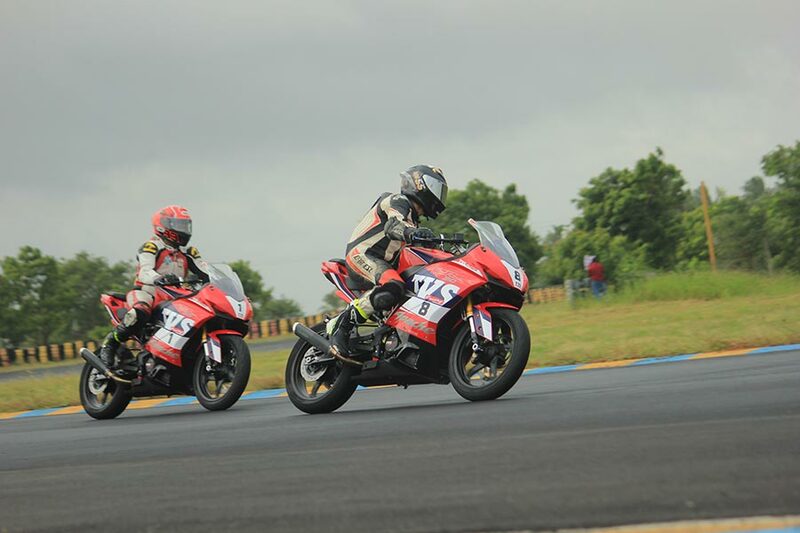 The TVS One Make Championship, hosted on the sidelines of INMRC was also held over this race weekend. The TVS One Make Championship Novice Category was won by Karthik Mateti, followed by Mohamed Shafin and AS Alexander. The TVS One Make Championship Ladies Category saw Ryhana Bee secure the podium followed by Ann Jennifer and RV Czimkay. 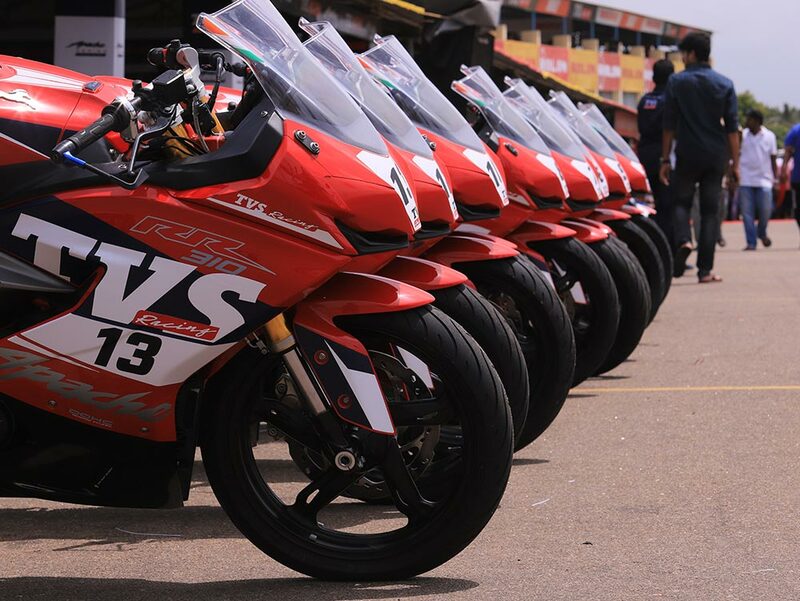 The Coimbatore edition of INMRC also saw the introduction of TVS One Make Championship RR 310 with the race spec Apache RR 310 making its track debut. Deepak Ravikumar took the lead in this Championship followed by S Sivanesan at P2 and Peddu Sri Harsha at P3. 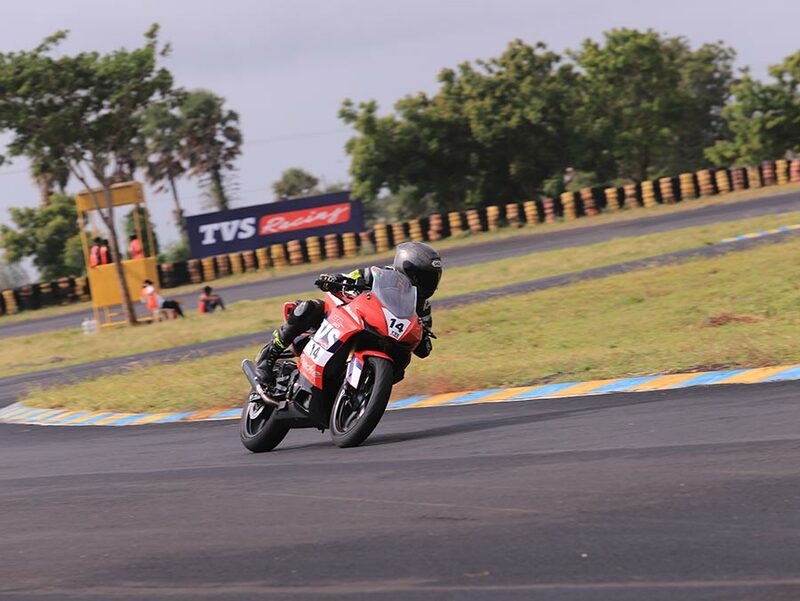 The TVS Young Media Racer Program, in its second edition, saw Gavin Rodrigues (Motorbeam) finish on top followed by Stephen Neil (DriveSpark) at P2 and Shahnawaz Karim (Wheelsguru) at P3. The next round of INMRC will be held at MMRT, Chennai from July 6-8, 2018.